Mmmm look at those burgers… the recipe for these babies will be coming in a couple of days. Ooo they’re delicious! I’m behind on so many chores it’s unbelievable. Vacuuming? Nah, it can wait, I’m making cookies! Cleaning the toilet? Nope, can’t do it now, I’m whipping up some muffins! Making the bed? I’ll do it in a sec, just have to have some baked french toast! Story of my life. So, last night I put a load of laundry in the washer to try and catch up. In the morning, before going to the kitchen, I went to the laundry room to move the clothes over to the dryer. Easy enough. What was the first thing to come jumping out of the washer when I opened the door? My iPod earphones! I’ve been looking everywhere for them! ugh. There goes another pair. At least it wasn’t my iPod! May I remind you that I woke up yesterday to a wrecked sock? Can’t a girl get a break? 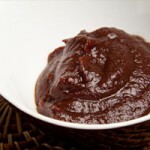 Mmmm barbecue sauce. That’ll do the trick. 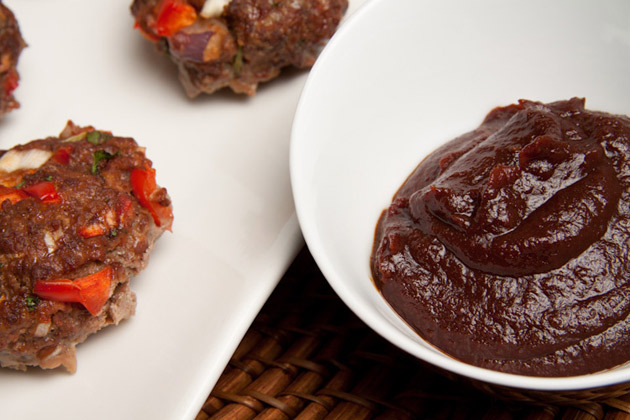 A deep tasting, thick, and sweet barbecue sauce, perfect for burgers! 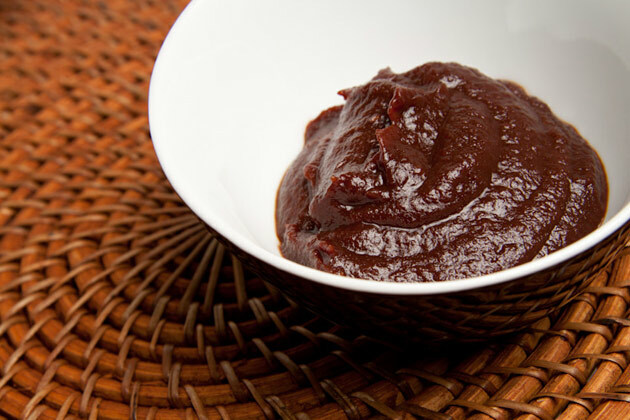 Making your own barbecue sauce is not only better for your health [less sugar, 0 corn] it’s also cheaper than the store bought stuff! Can be stored in the fridge for up to 1 month.